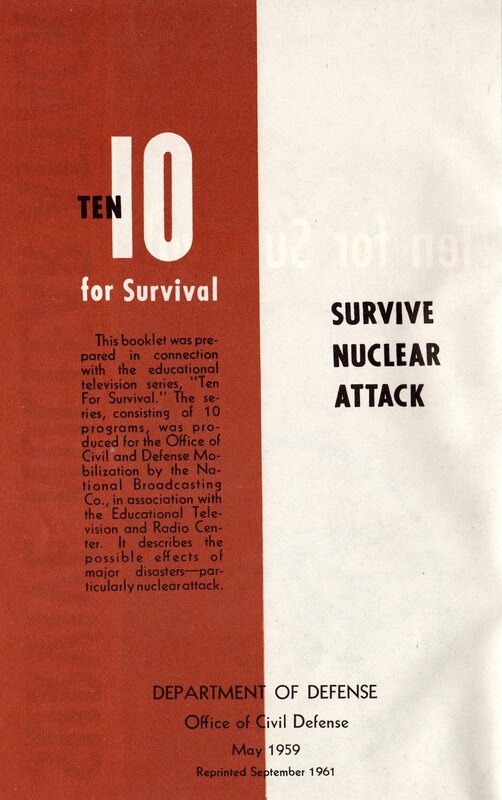 Back in the lost age of innocence known as the “pre-9/11” era, the idea that America could face a devastating attack from some far-off enemy seemed like a quaint relic of the Cold War. 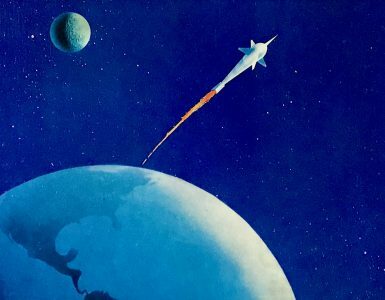 After all, there was no longer an Evil Empire to worry about–so who could possibly want to destroy us? 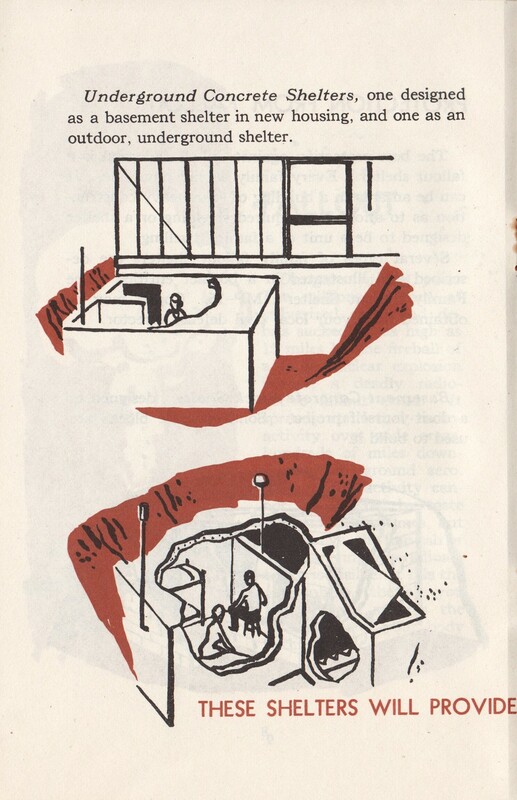 That carefree sensibility is probably gone for good as our old fears of mass destruction have returned to haunt us every time we board a plane or ride a subway. 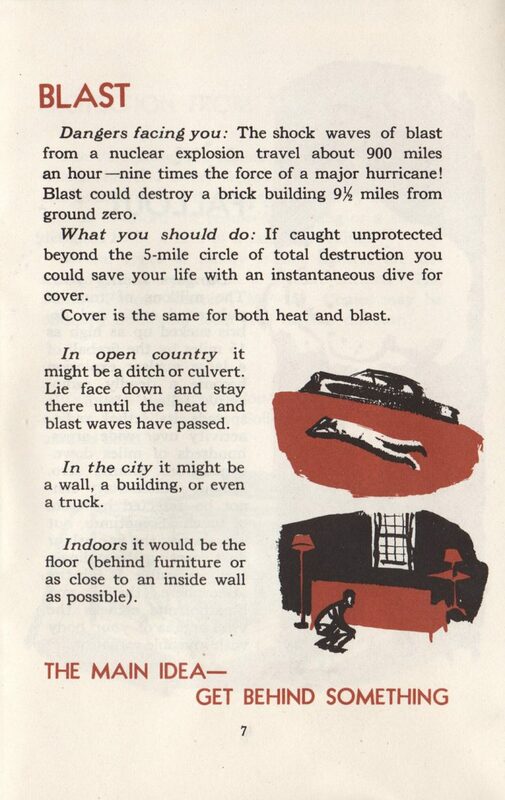 Worse, nuclear attacks are suddenly much more plausible now. 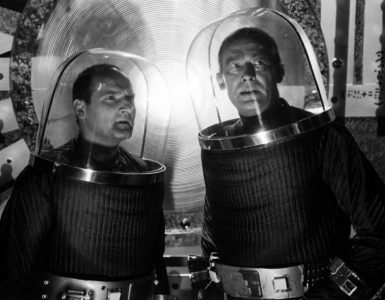 Just as in the ’50s and ’60s, the U.S. government must now try to brace its citizens for sudden, unexpected death on a massive scale. Copywriters of government public service announcements are again facing the challenge of trying to politely tell us that we may all die soon–while simultaneously encouraging us to take precautions. Whether urging us to “be prepared” will do much to curb the effects of a nuclear or biological attack is debatable, but we nevertheless expect our government to do something to reassure us. 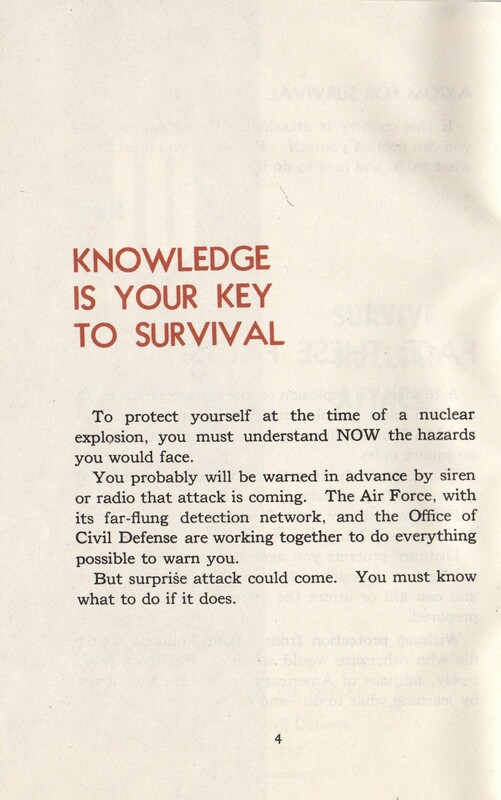 We live now in a time when such words have a new resonance. 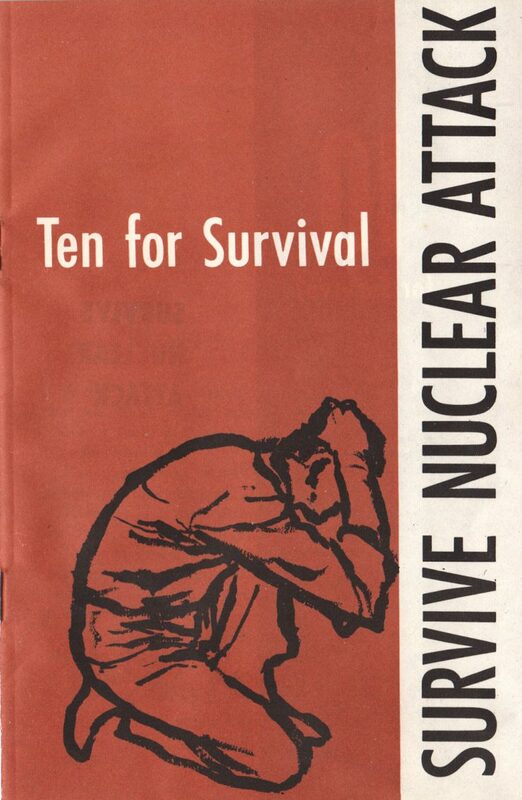 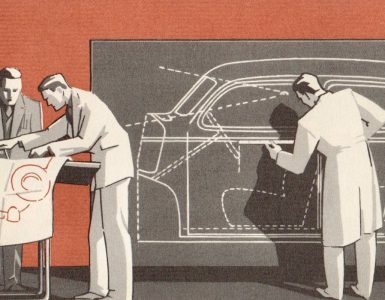 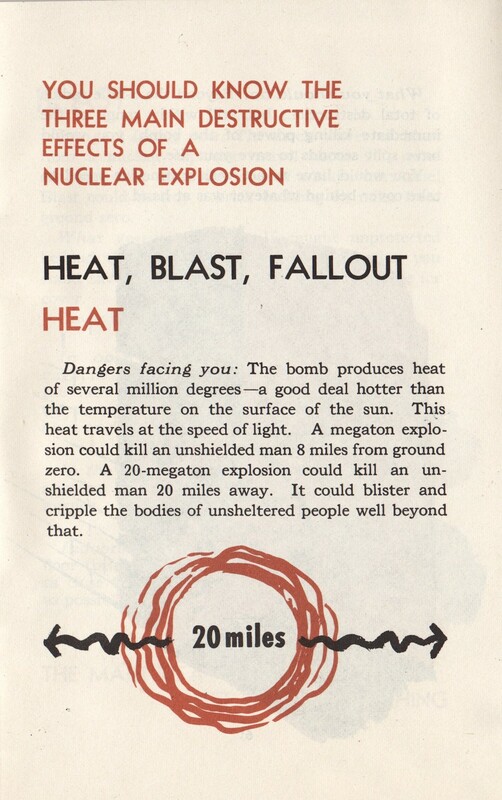 Reading brochures from the height of the Cold War reminds of us just how deep the nation’s fears of annihilation were–far beyond the tensions revealed by the popular culture of the day. 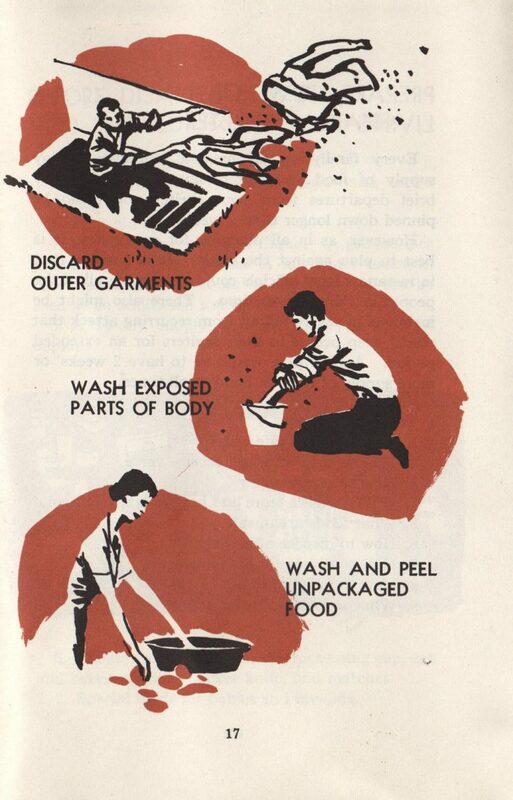 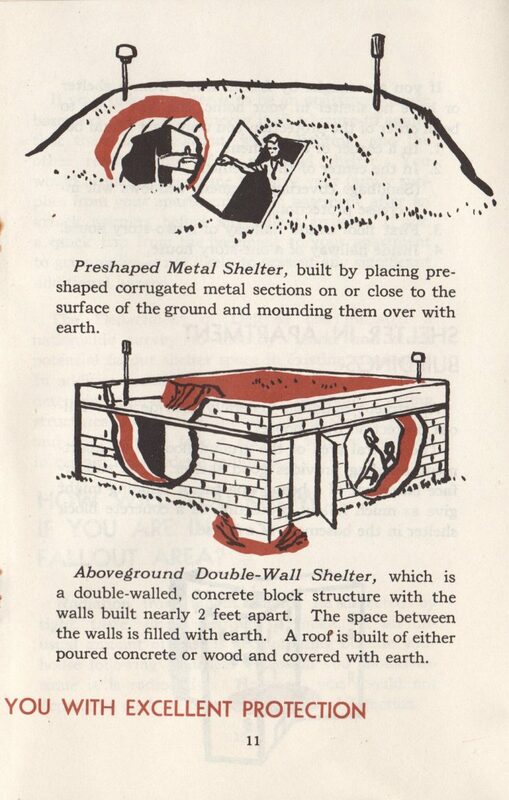 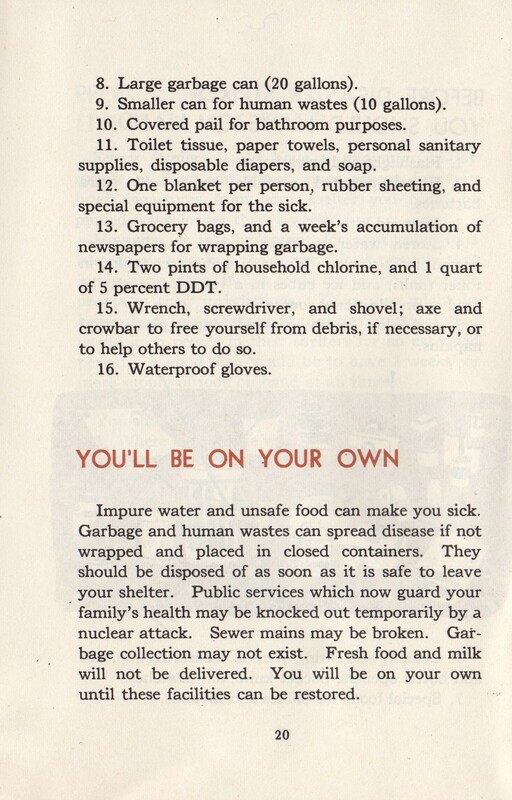 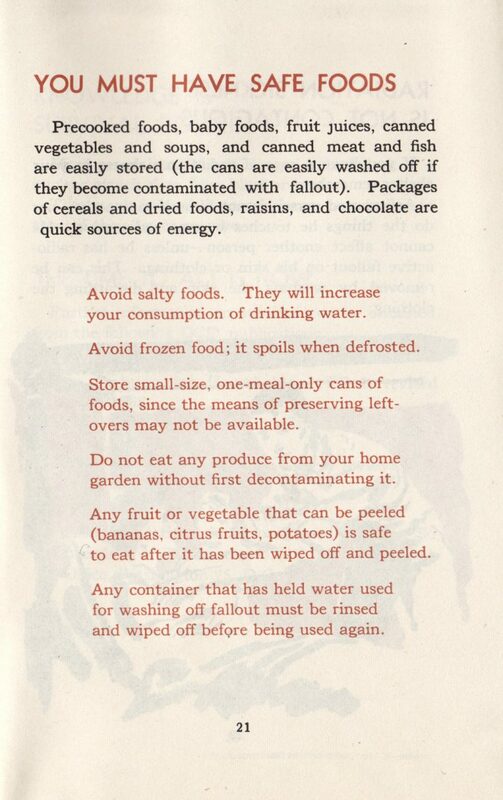 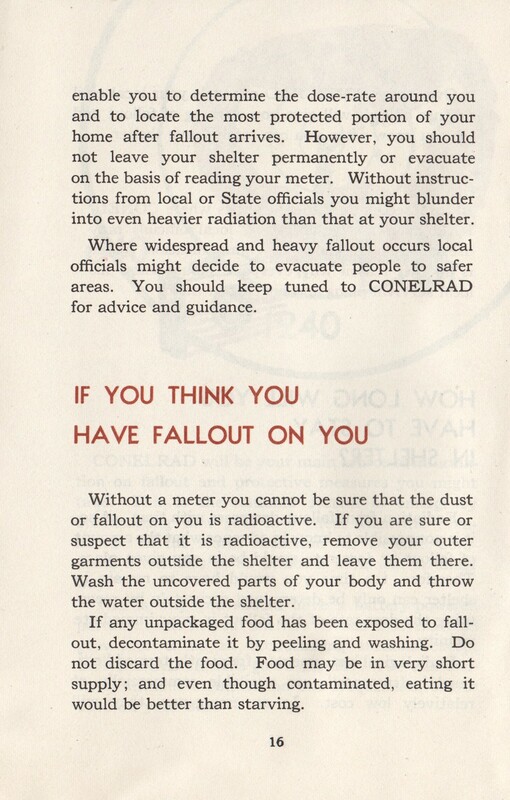 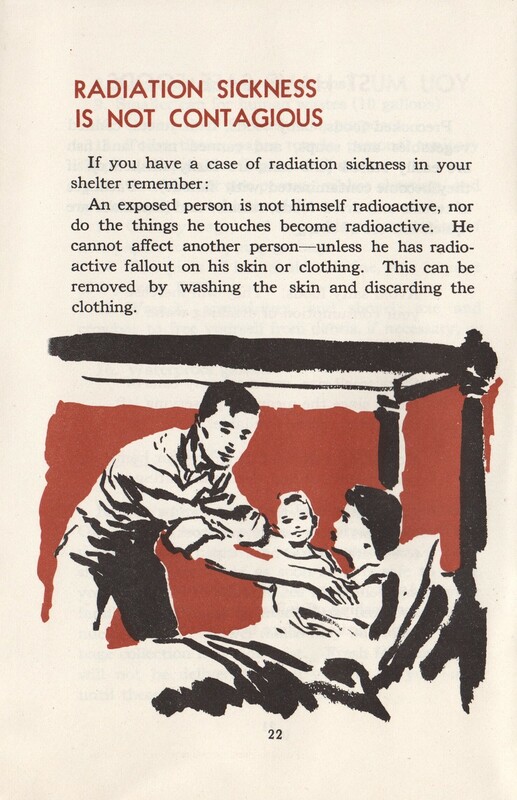 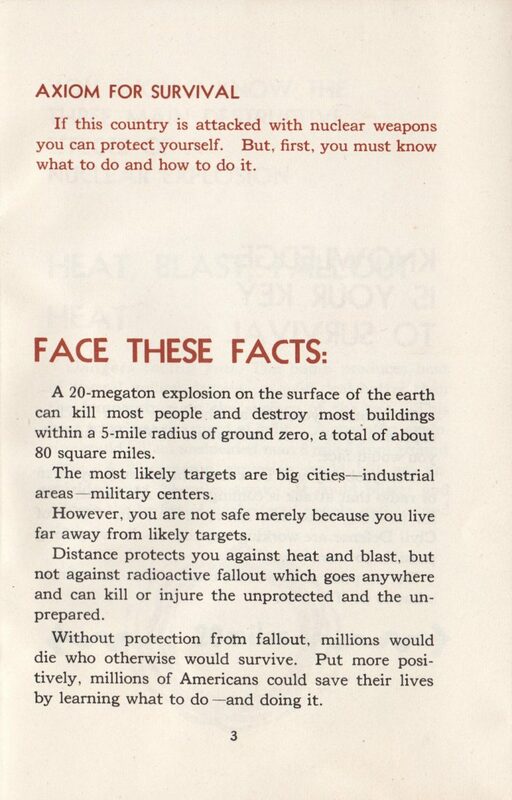 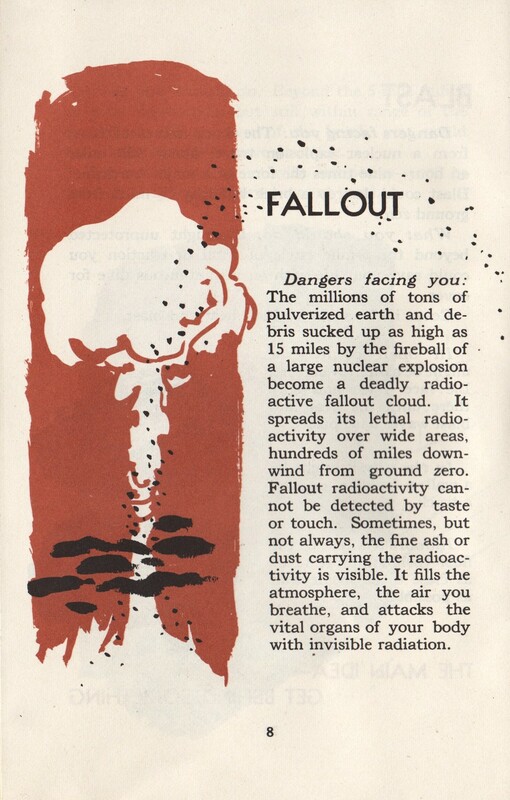 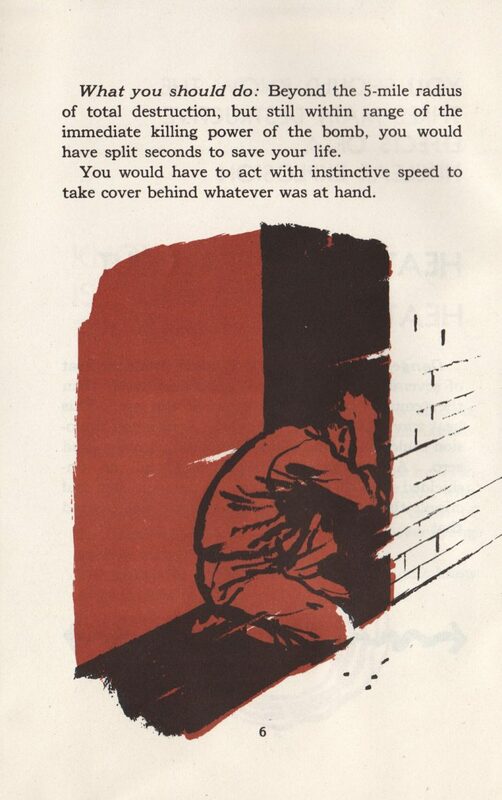 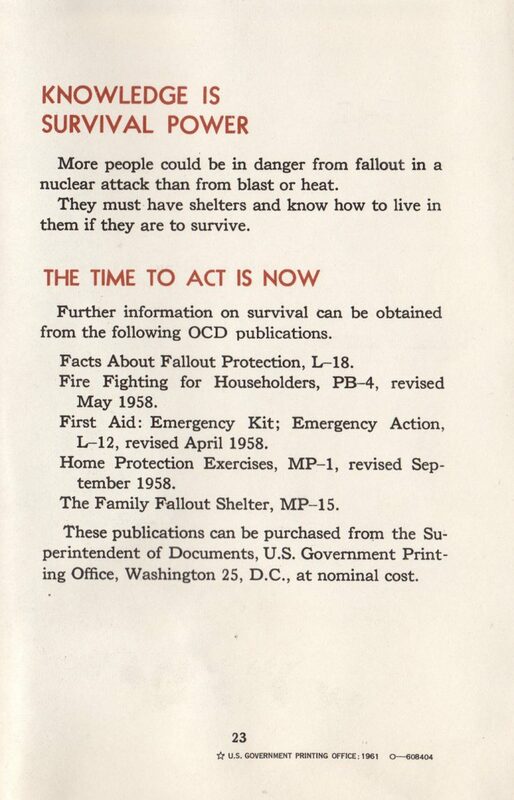 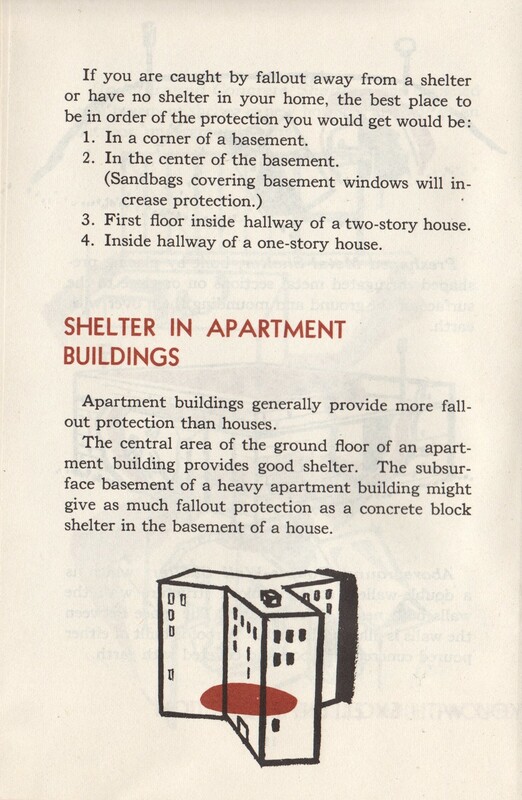 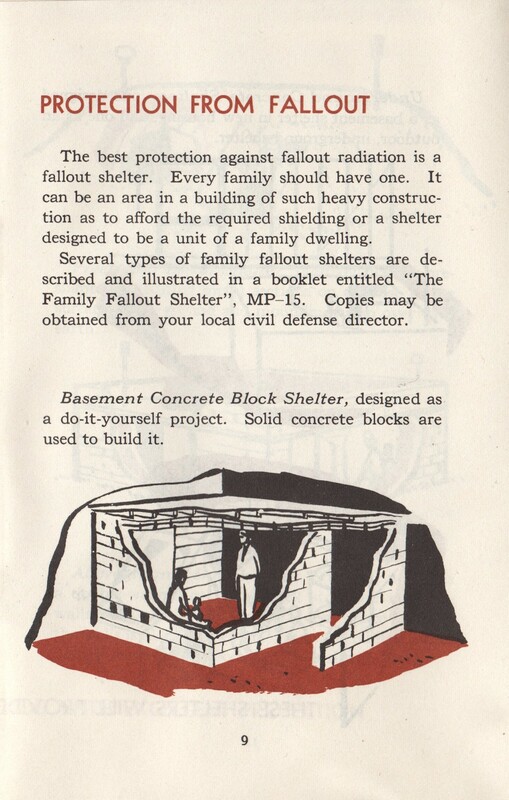 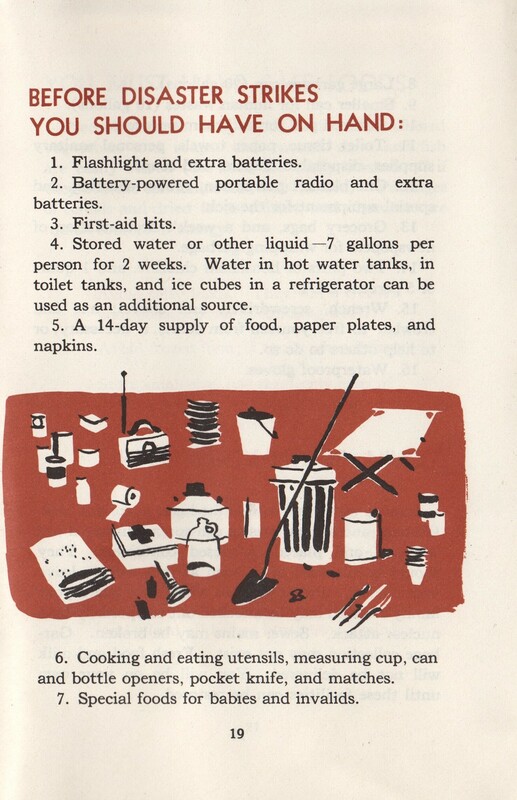 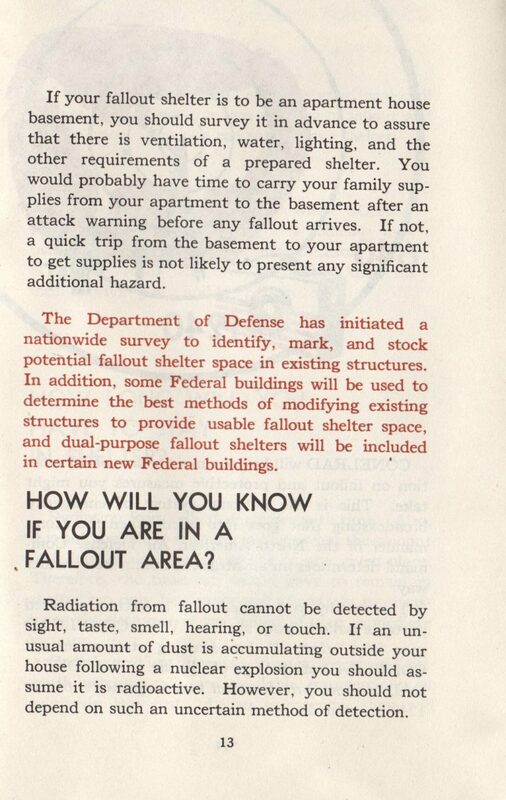 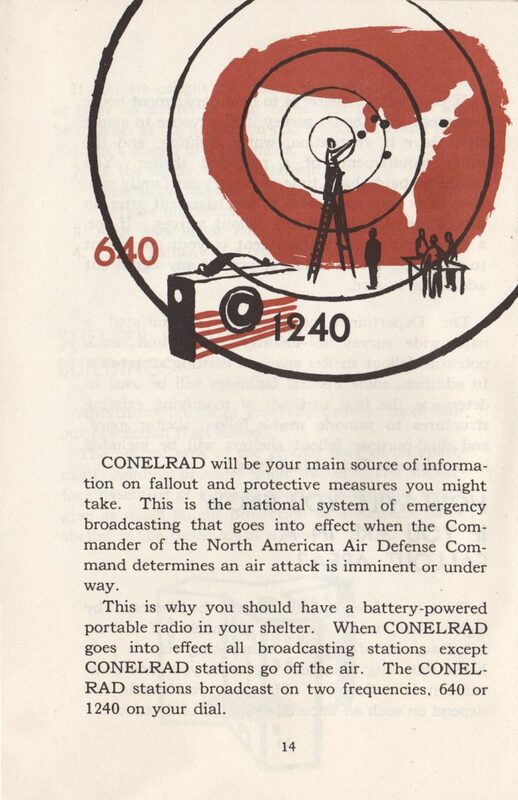 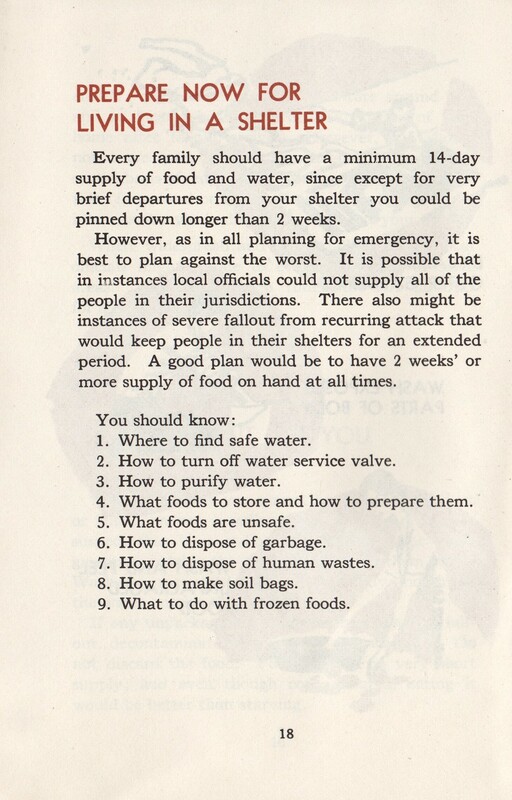 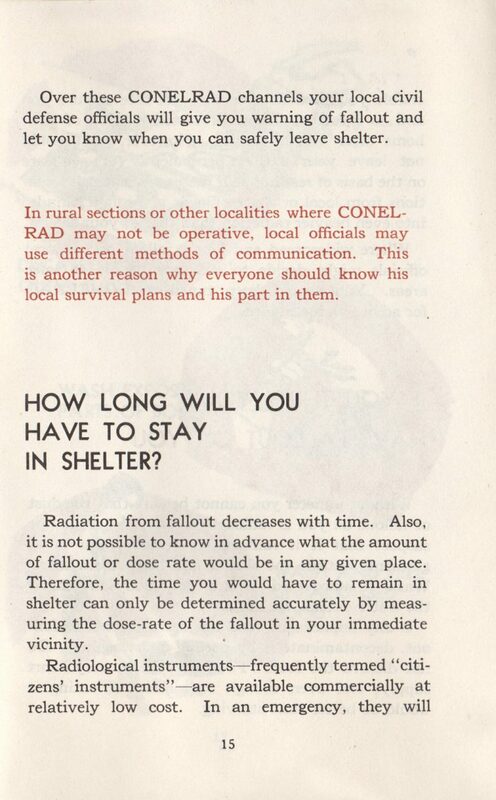 The end of the world was a concept that was no longer fictional or abstract for people of that time; it was quantified in Civil Defense brochures as something that must be planned for…just like today.